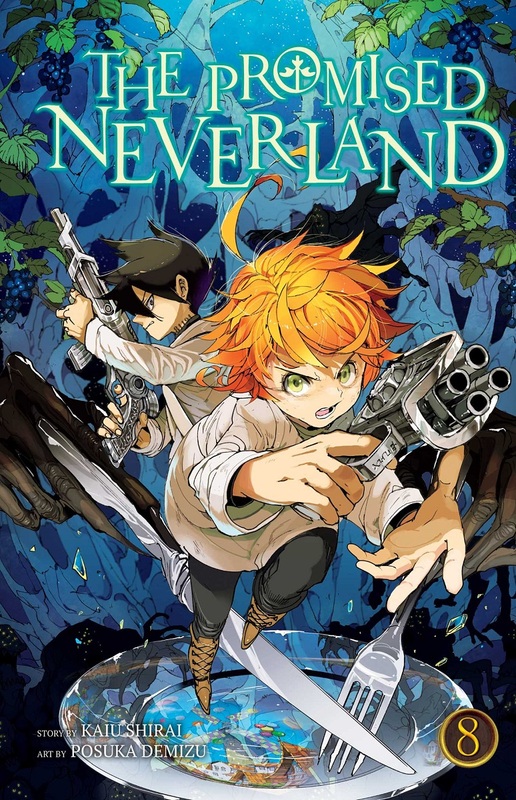 The Promised Neverland manga volume 8 features story by Kaiu Shirai and art by Posuka Demizu. 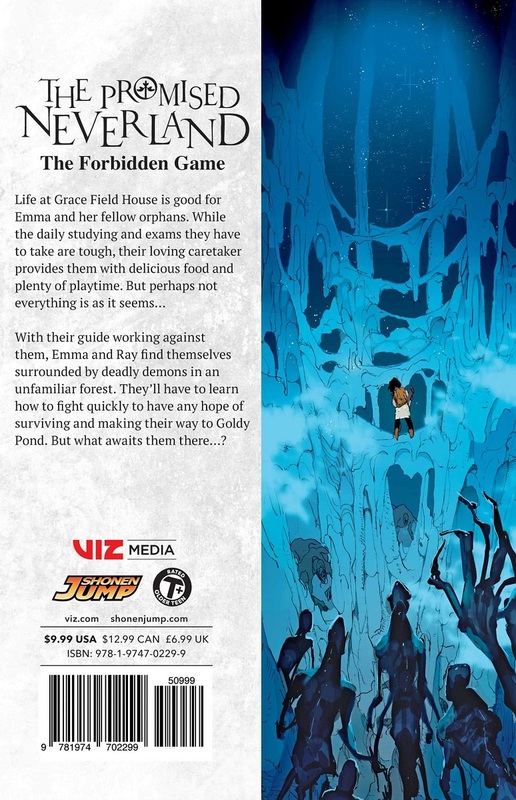 As Emma and Ray head to a location called Goldy Pond, they find themselves completely surrounded by man-eating demons. Can they escape these hellish circumstances and reach their goal?